Explore a magical Winter Wonderland with small group adventure specialist, Grand American Adventures. These wonderful winter excursions allow travellers access to places that are normally closed during the season and to enjoy the breath-taking landscapes of Canada and the USA under a soft blanket of snow. These comprehensive itineraries also include the services of specialist guides and wildlife trackers for the unforgettable experience of seeing the region’s wild animals in their natural habitat, from Polar Bears and Arctic Foxes to wolves and the iconic American Bison. At the end of the day, travellers hang up their hats for the night in a wonderful range of cosy lodges and hotels. Perfect for solo travellers with no single supplements, these tours are best suited to 35–65-year olds. 6 days/5 nights: Have a once in a lifetime experience in Canada’s arctic tundra. This fantastic winter wonderland expedition not only lets you experience the beautiful white winter of the Canadian landscape but also allows you to fulfil a wildlife lover’s dream of seeing polar bears in their natural habitat. Travellers will spend two full days with expert guides on the trail of Arctic Foxes, Arctic Hares, Snowy Owls and Polar Bears. Highlights also include a three hour cultural and heritage tour of the Churchill area, including historic Cape Merry and the Polar Bear Jail and an evening dog mushing experience. Includes: Services of a professional tour leader, all transportation by private tundra vehicle and internal flights, all accommodation (two nights hotel, three nights arctic lodge), five breakfasts, two lunches and one dinner. Tours run during October and November. 7 days/6 nights: Experience the geothermal winter wonderland and beauty of Yellowstone National Park in the depth of winter for a unique trip to this iconic site. Explore this beautiful park in the tranquilly of the off-peak season with a fresh blanket of snow. Highlights include getting on the trail of the regions animals in Lamar Valley with an experienced wolf and wildlife-tracking guide, unique entrance to the park when it’s closed to most visitors, half a day’s cross country ski lesson, visiting Chico Hot Springs and half a day guided snow shoe tour. Includes: Services of a professional tour leader and local guides including wolf and wildlife tracker, all transportation by private vehicle and Yellowstone snow coach, six breakfast and three dinners. or call toll free on 1844 768 0170. 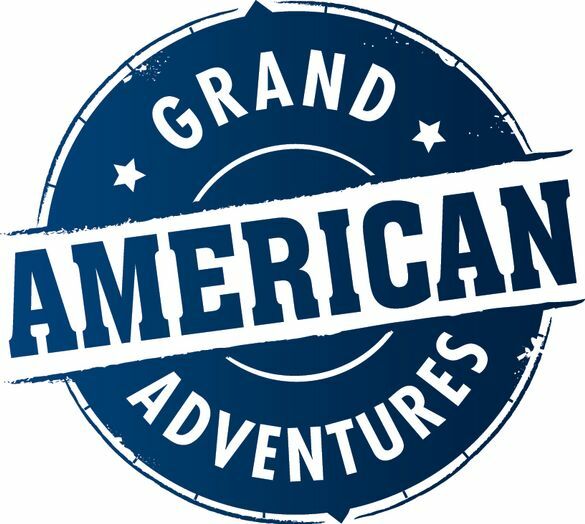 Follow Grand American Adventures @GrandAmericanAd. – Prices quoted are for tour only. Flight packages available on request. – Hotel accommodation, private ground transportation and services of an experienced tour leader all included. – No single supplement fees, solo sleeper available at an extra cost.